Today I have something big for everyone! I’m announcing the first ever Brooklyn Homemaker giveaway! In my last post, I reviewed several garlic presses, detailed some of the different features available on some of them, and discussed which ones I liked the best. The Harold Import Company, makers of the garlic press and slicer that I reviewed, has generously agreed to donate one for a loyal reader and fan of Brooklyn Homemaker! This one ended up being one of my favorites. Though unpeeled garlic requires a bit of extra force, it can handle both peeled and unpeeled cloves. It’s better at getting more garlic through the press than some of the other ones I tested, but it did still leave a small bit behind. One of the reasons I like it so much is that it also doubles as a garlic slicer, giving you nice thin evenly sliced garlic. To use the slicer function the clove needs to be peeled, but it’s very efficient and leaves no garlic behind at all. Another really great feature is that this tool has a press that actually swivels out of the hopper to make it more accessible for easy cleaning. This is a common feature in many high end garlic presses, so it’s nice to see it in such an affordable tool. It also comes with a handy cleaning tool that attaches to the inside of the arm, and slides out when needed. In case you forgot, there was even a handy video, produced by my amazing friends from Crown Street Productions! Check it out! This tool is versatile, easy to use, and easy to clean; and at only $20, it’s a great value too! Now, thanks to the generosity of the Harold Import Company, this tool could be yours for FREE!!! Entries will be accepted until 6pm on Tuesday March 18th. To enter, please follow the contest rules detailed at the bottom of the post. After I was finished pressing all that garlic, I had to find a use for it. 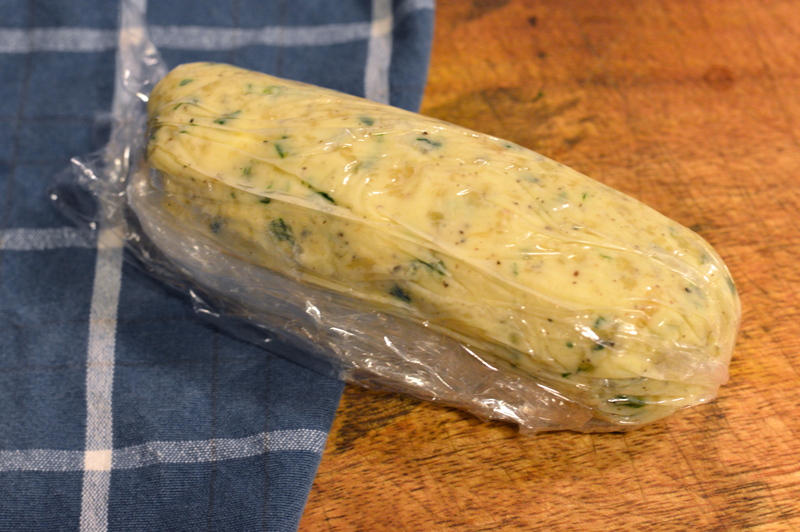 I thought a perfect way to let the garlic shine while putting it to practical use was to make a garlic and herb compound butter. 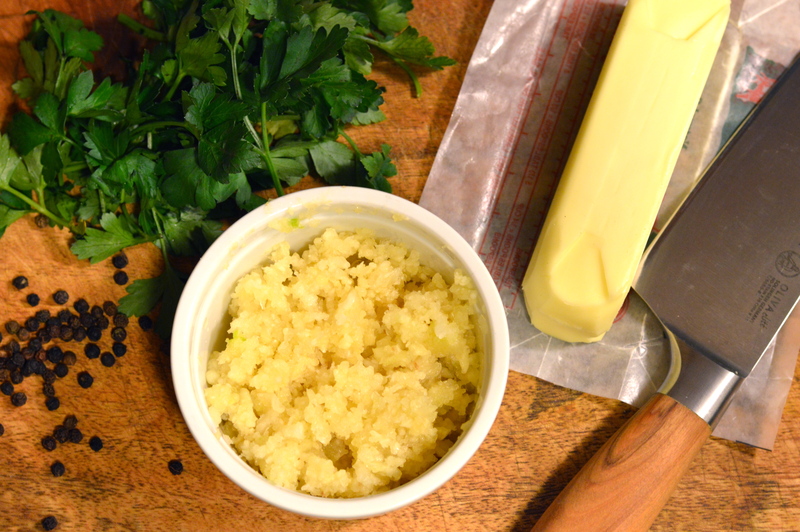 Compound butter is basically any mix of butter with supplementary ingredients like herbs, spices, garlic, etc. ; that’s then formed and refrigerated to be sliced for later use. It’s great to top a steak, mix into (or use as) a sauce, or toss into pasta. 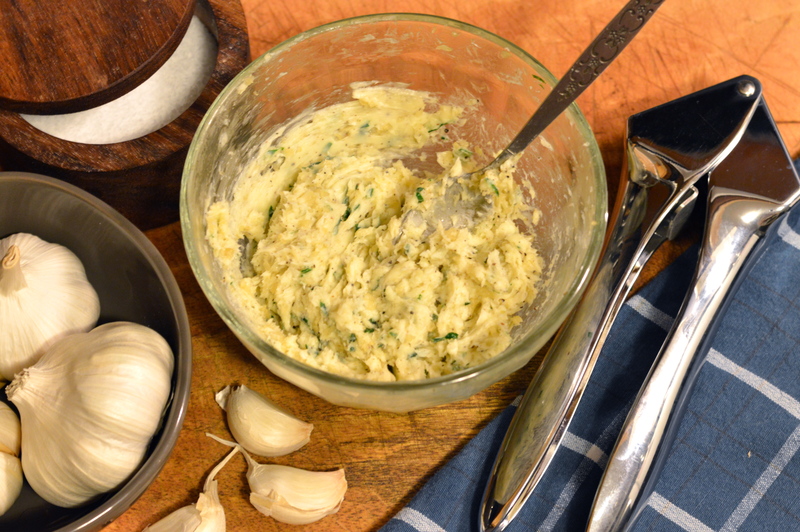 This super garlicy butter would also be perfect to make garlic bread, or as a sauce for a white pizza. With a fork, mash all the ingredients together until very well combined. 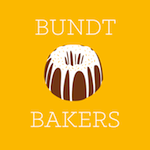 Butter will need to be at room temperature or softer, but not melted. Transfer the mixture to a piece of plastic wrap, wrap up and shape into a round tube. Twist the ends of the wrap closed and refrigerate the butter until hard. It will keep in the refrigerator for weeks and can be sliced off as needed. Yum! Entries will be accepted up until Tuesday March 18th, at 6PM EST. To enter, please follow these links and “like” both Brooklyn Homemaker and Harold Import Company on facebook. Then come back and leave the comment “Gimme Garlic!” on this post, and tell me why you’d love to have a new garlic press. Only one comment per entrant, please. The winning garlic press can only be shipped within the contiguous United States, so entrants must live or have a mailing address within the lower 48. Winner will be chosen from the comments by selecting a number (using a random number generator) from the total number of comments when the contest comes to a close. Winner will be contacted via email for shipping information. GImme garlic! I am obsessed with garlic and use it ALL the time. Thier garlic press really impresses me. If with some luck I could win your press. The next time I need a garlic press! Gimme Garlic! I have a Good Grips garlic press that is aluminum and only presses. Slices too?! Yes, please! Gimme Garlic! I had no idea there was such a thing as a garlic slicer! I dread slicing garlic, and really, its just a matter of time until I slice off one of my fingertips. Please, save me from this fate! “Gimmie Garlic!” I would love a press and slicer! We cook with garlic all the time but only have a press. Also I have the pasta maker on the HIC cover photo! Gimme Garlic! Ive just discovered how much flavor garlic adds to my meals. Would love a press to up the garlic goodness in my recipes. Gimme Garlic! I’d love to have this because I love to make garlic bread! Gimme Garlic! Please :) Simply because…I don’t have one! Gimme Garlic! I don’t own a garlic press so this would a real treat. Thank you for the chance to win! “Gimme Garlic!” PLEASE! I would love to have a garlic press because I just adore garlic and use it in pretty much everything that I make and I have to cut it all up by hand without a garlic press. Thank you!!! Gimme Garlic! I would like a garlic press because our old one broke and it is so much easier to use the press rather than chopping the garlic with a knife. “Gimme Garlic!” Please. I have the Oxo and a the rocker too, and I do agree with your observations. A Harold import press/slicer would really rock my garlic world! Thank you for this great opportunity! 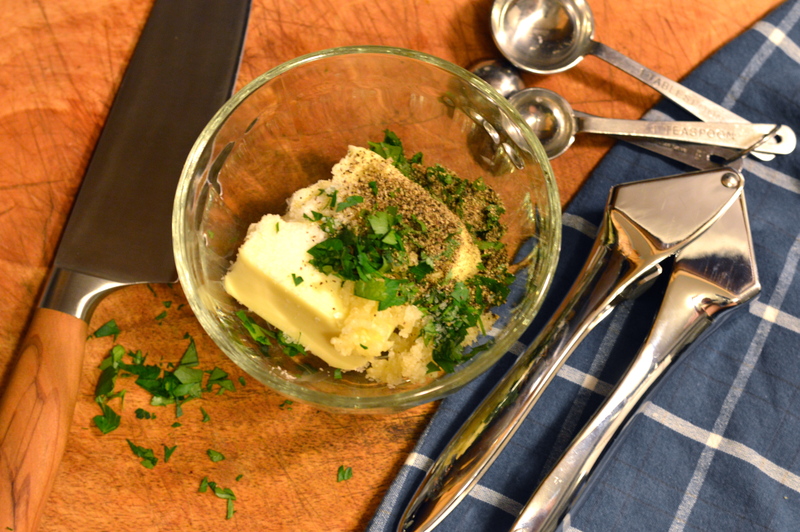 “Gimme Garlic!” I have to find a garlic press that I really like, this may be the one….love, love, the slicing feature! Mel! Congratulations! You are the winner! I’ll be in touch via email about getting you your prize! 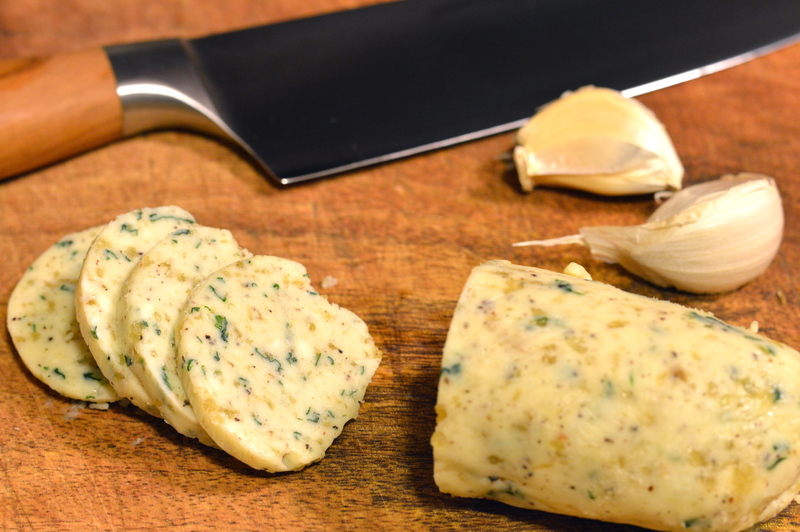 The first thing I’m going to make is your garlic & herb butter. Thank you!!! Gimme Garlic (please)!! I have a press but it’s small and a bit awkward and does NOT slice – who knew that existed?! Gimme Garlic! I would love this garlic press because I cook with garlic constantly, and though I have tons of kitchen tools, I do not have any sort of garlic press or slicer. Thank you for the wonderful giveaway. Gimme garlic! I’ve never owned one and resigned myself to using jarred garlic because they always seemed like a lot of work. This press looks easy and simple to clean–the two biggest draws for me! Gimme Garlic! I would love this press because I have a terrible dollar store one right now, and it is impossible to clean! Gimme Garlic! 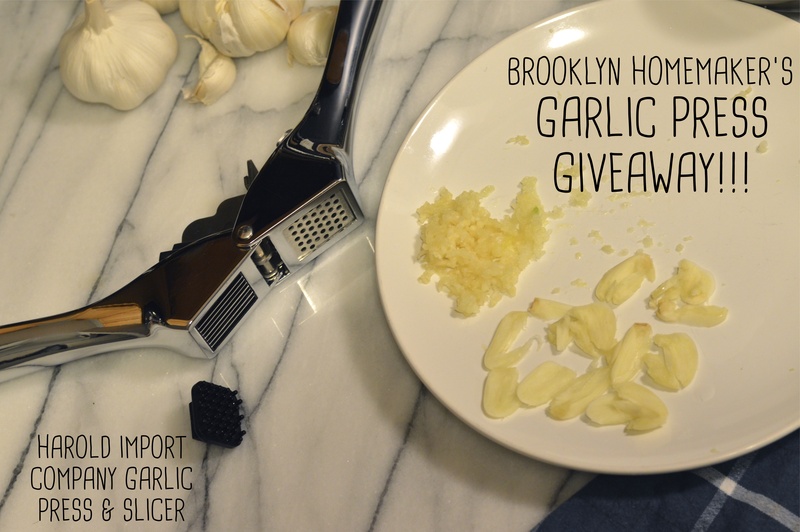 I would love to win this garlic press, because I love garlic in everything! And fresh garlic is so much better than jarred garlic. Thank you so much for offering this giveaway! Thought my readers might appreciate this garlic press giveaway. 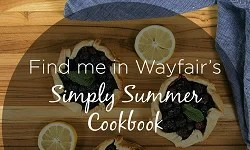 Take a look at this blogger’s great review and recipe, then enter her giveaway! Win a Fabulous arlic Press!!! “Gimme Garlic!” Come on, it’s in the name of my blog! Gimme Garlic! Very catchy and oh so good! Gimme garlic! Because I’m stuck with a crappy supermarket gizmo that causes me to forego adding garlic to dishes because it’s such a pain to clean. I bought one and use it a few times a week for Italian foods and various sauces. Fresh garlic always tastes better than powder but is messier. My garlic press gets mincings stuck in that will not come out no matter how I wash. I would like one that is easier to clean. Plus, a garlic slicer will save my fingers from being sliced too! Gimme Garlic! Just the other day I was chopping garlic with a knife, and wishing I had a garlic press. I love fresh garlic, but it’s so difficult to chop it up small enough with a regular knife. Thanks for this great opportunity! I liked both pages on FB and really, really, need a garlic press because I don’t have one & I’m crazy in love with garlic. I cook with garlic almost everyday and I slice it real thin or pound it real flat & cut it into a million pieces. 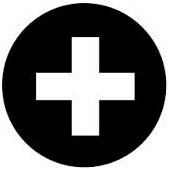 This tool would make my life easier…not easy, but better. Thanks. Gimme Garlic! Two days ago, I ripped the skin off of my one of my fingers while grating garlic on my microplane. OUCH!! That garlic press would have saved my skin! Good to know. I’ve never had a garlic press that I was happy with.